In a major boost to bring international tourists to Visakhapatnam, a cruise liner with seven star rating will anchor at the port here for the first time on Thursday. 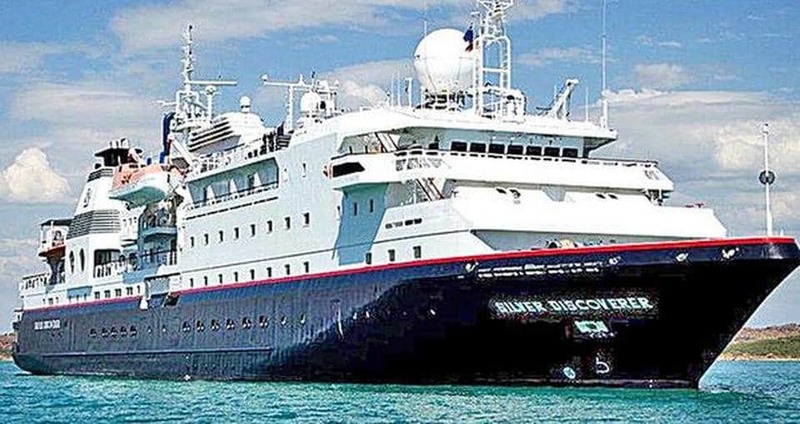 Silver Discoverer, the 1989 Russia-built cruise liner will reach here from Trincomalee (Sri Lanka) via Chennai on Thursday morning for a dawn-to-dusk halt in the City of Destiny.The ship will carry around 100 passengers, most of them belonging to America, the Europe and other parts of the globe. Its itinerary includes stay in the picturesque locales of Myanmar, Bangladesh, Sri Lanka and India. The ship will proceed from Visakhapatnam to Paradeep via Gopalpur. It will be a red-letter day for all of us. The arrival of such a big cruise liner will also give a shot in the arm to our plan to construct a world-class cruise terminal between the Visakha Container Terminal Private Ltd and Channel Berth,Visakhapatnam Port Deputy Chairman P.L. Haranadh told The Hindu on Tuesday. Silversea Cruises, a Monaco-based owned luxury cruise operator has a fleet of eight boutique cruise vessels, each carrying 100 to 540 guests. Silversea business model envisages operating ships in the small, ultra-luxury and all-suite categories. The firm offers all inclusive packages including food and beverages, insurance and complimentary shore excursions. Ms. J.M. Baxi & Co is the handling agent for the vessel. Travel Link is coordinating local arrangements. Sources said during their stay in the city, the passengers will be taken around the beach areas between Visakhapatnam and Bheemunipatnam. There is also a plan to take them to Sri Varaha Laxmi Narasimha Swamy temple at Simhachalam. Secretary, Ministry of Shipping Gopal Krishna is also scheduled to interact with the passengers. We are pretty excited at the arrival of a seven star cruise liner for the first time. So far such cruise liner has been brought only to Mumbai and Kochi. Silver Discoverers arrival is a significant development in promoting cruise tourism in the eastern sub-continent, in-charge of J.M. Baxi & Co in Visakhapatnam Captain Bhargava said.